Found this short documentary on Vimeo last week. Really enjoyed it’s clean, simple and elegant flow. Also check out the Cars I See Vimeo profile for a couple other videos. 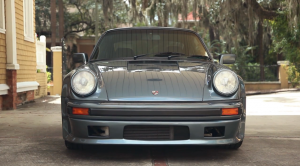 This is a story of one man’s 28 year journey to own a Porsche 930. Jim Goodlett’s 1984 grey market 930 Turbo is a beautiful example of a classic Porsche 911, but it also represents the accomplishment of a goal he set for himself as a young man who could only dream of one day owning this supercar. Many thanks to Jim Goodlett for sharing his time and his story.